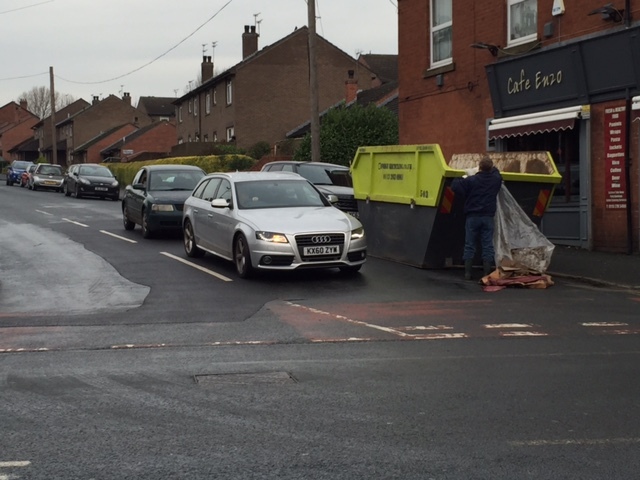 Due to the devastating flooding that has blighted Leeds and other parts of the country, Forge Waste & Recycling has placed a large skip on the corner of Kirkstall and Haddon Road – just outside Café Enzo. 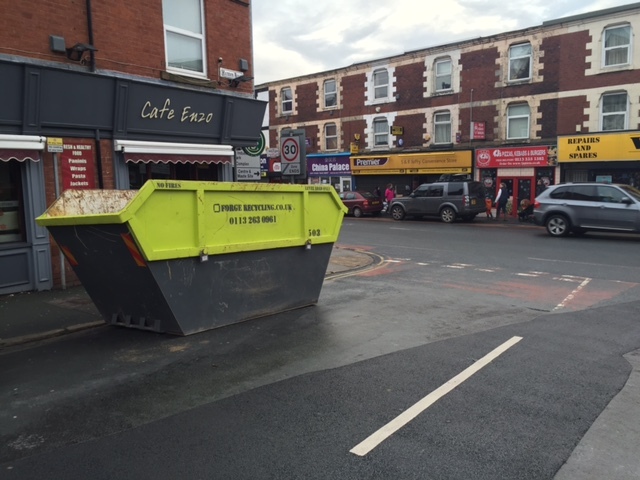 Both businesses and residents are welcome to deposit destroyed items and debris within the skip, which shall be emptied and replaced throughout the coming week as and when needed. For up to date information on flooding in the Leeds area, it is advised that residents follow updates from the Leeds City Council Resilience Team and the official Leeds City Council News Twitter account. Otherwise, you can call the Environmental Agency Floodline on 0845 988 1188. Those that are hard of hearing may call 0345 602 6340 for Typetalk. Both these services are available 24 hours a day. If there is an immediate risk to your life, or someone that you know, or you or they happen to be trapped by floodwater, dial 999 for the emergency services. For those looking to report instances of new flooding, but are unsure which agency is responsible, Leeds City Council are available for contact on 0113 222 4407, Monday to Friday, 9am – 5pm. Here are the flood warnings that are currently live throughout the country. According to Leeds City Council, flooding within in a private residence is the responsibility of the homeowner or occupier – this includes flooding within private sewers, drains and flooded cellars. Yorkshire Water are available to fix the damage for a fee. Private drainage contractors are also available within the immediate area. If there are any health concerns after the event of a flood, it is advised to contact Leeds City Council’s Environmental Health Service on 0113 222 4406. 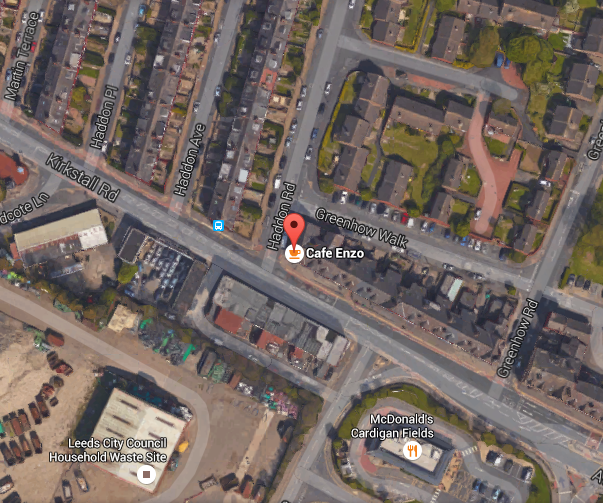 The service can also be contacted in the event of an emergency by calling 0113 376 0499. If possible, use sandbags to try and divert the flow of water. It is often futile to try and stop it altogether. Unplug all electrical items within the property before the water enters. This is especially important if your electrical meter is found within a lower part of the house. Turn the electricity off if it is still running. If you can, check on neighbours that might be particularly vulnerable and move all family and pets upstairs if possible. Ensure that you have a battery operated radio so that you can keep up to date with what is happening locally. This will last longer than your average smartphone device. Keep a stash of candles handy for the same reason. The Government has published this document to help businesses and homeowners create a flood plan for when flooding occurs. For those that have already been directly affected by the floods, here is information on how to cope with recovering. If you want to know more about flood insurance, here is a useful page by the National Flood Forum, which documents what to do in regards to flood insurance and how to get it. For those that happen to own properties that are in any way difficult to insure, it is advised that you contact the British Insurance Brokers’ Association.